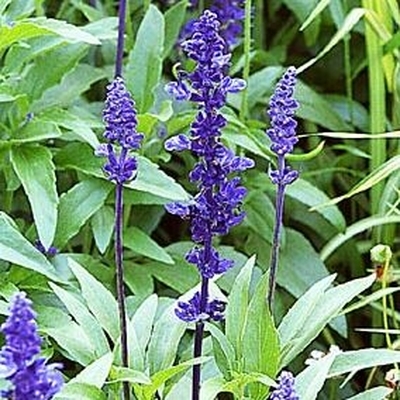 For splashes of color in beds, borders and patio planters Salvia Victoria — sometimes called “mealycup sage” — produces a profusion of large, showy spikes of fragrant true blue or white blooms all summer into fall. They attract hummingbirds and butterflies, and deer don’t like them. These salvia grow best in fertile, well-drainged soil, but they can also tolerate poor soils. They grow at a medium rate, use a moderate amount of water and can be drought tolerant once established. Just be sure water them when the soil surface is dry. They are low maintenance, but regular fertilizing is necessary to keep them blooming.